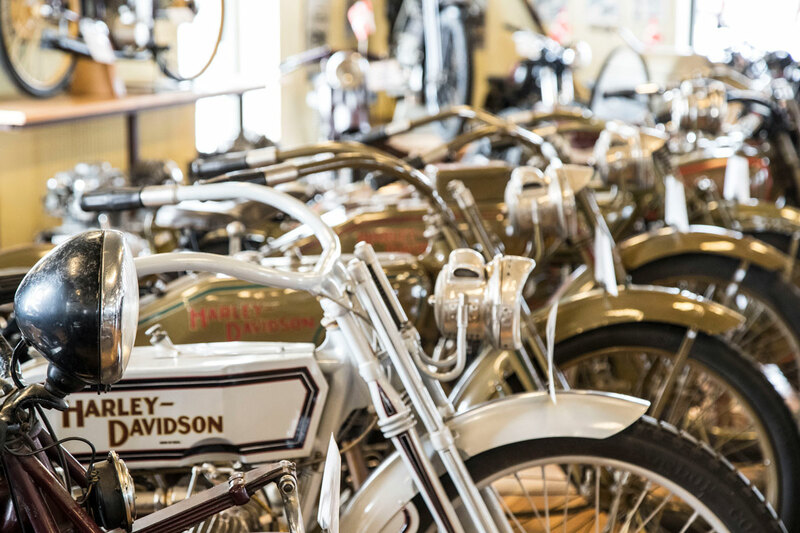 During the First World War, Indian got contracts to deliver almost 50,000 motorcycles (the Powerplus model, 998 cc) to the American army, but during the Second World War it was Harley Davidson who got orders for more than 80,000 motorcycles for the Allied forces. Many of them were the WLC model (739 cc). Indian received orders for the Scout 741 B model, a 500 cc machine, used by the British, Canadian, Australian and several other Allied armies. Here they served together with the Norton H16 and Big Four and the BSA M20. 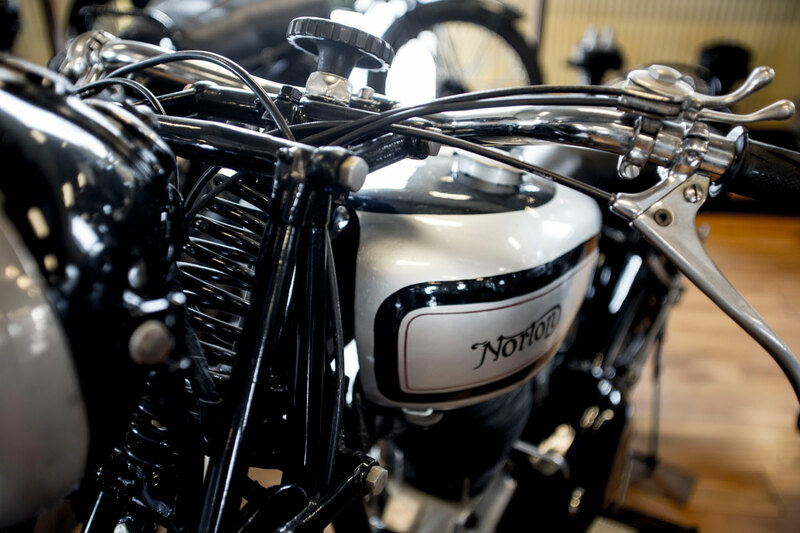 Also the Ariel W/NG, Triumph 3HW and Matchless G3/L were used by Allied forces. On the opposing Axis side they faced the Zündapp KS750 and BMW R75, both of them often equipped with sidecars mounted with a machine-gun. They usually had a powered sidecar wheel and reverse gear. 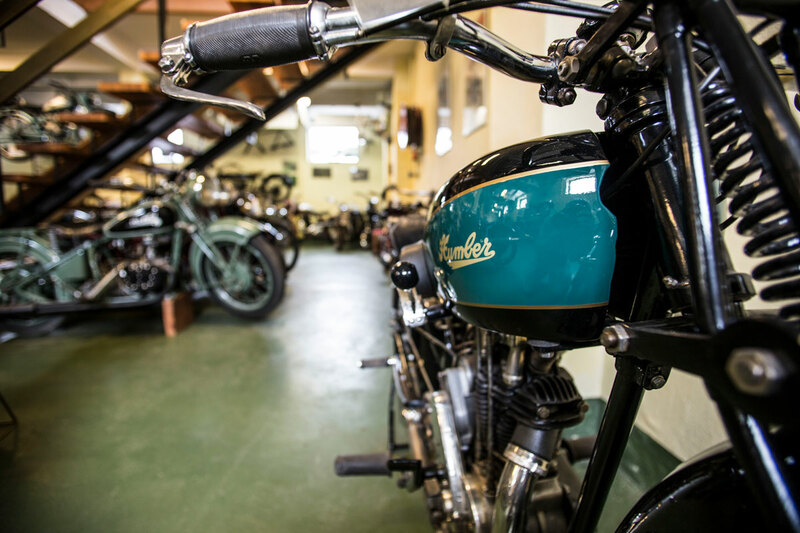 After the Second World War the demand again arose for small, inexpensive motorcycles to provide the everyday worker with transport to and from his place of work. In Germany in the first post-war years, manufacturers were not permitted to produce machines larger than 100 cc, and this resulted in many small models. Before the war, Sachs had produced a 97/98 cc 2-stroke engine – a drop-in engine as it was called, because many small factories mounted them in their own machines. The Museum’s ”Phänomen” was built in 1937, but is a good example of a drop-in engine. NSU announced their FOX (98 cc, 4-stroke) in 1949, and later when restrictions were relaxed this was produced in larger capacity versions. In West Germany, DKW got going again in Ingolstadt and produced 2-stroke engines based on Jørgen Skafte Rasmussen’s designs. 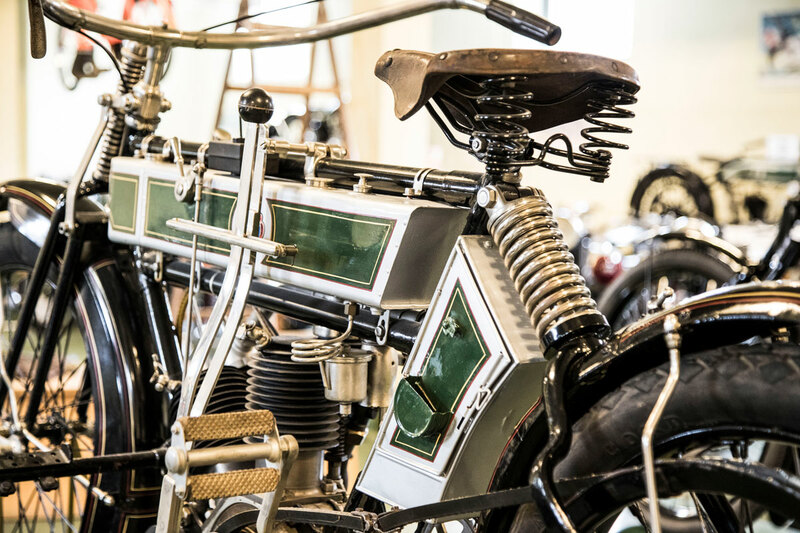 Rasmussen himself had returned to Denmark together with his brother, and here they contributed to several motorcycle projects set up by Dansk Industri Syndikat – DISA. The museum has examples of two DISA models with 100cc and 150cc engines. 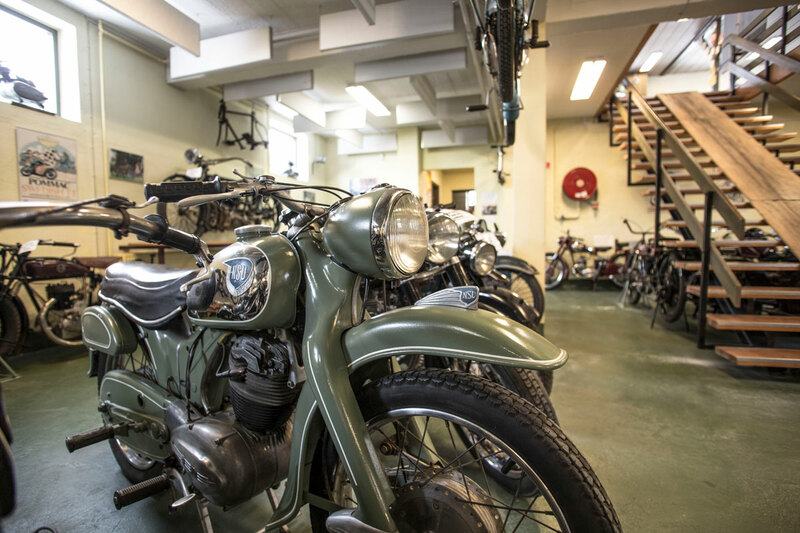 However, cars were rapidly falling in price and consumers preferred to travel ”indoors”, so DISA’s production of Danish motorcycles soon came to a halt. The old DKW factory in Zschopau lay in East Germany and developed into what we now know as the MZ concern. The Allies had annulled the patent on the DKW RT125, and therefore Harley Davidson obtained the rights to build a little ”Hummer” of 123 cc. BSA also exploited the same designs to produce their Bantam D1, a little mirror-image copy of the DKW 123 cc. 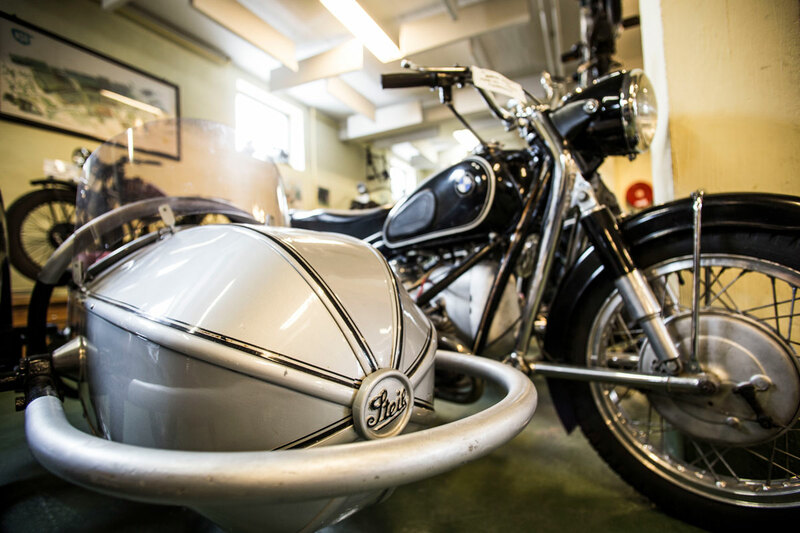 After the war BSA became the world’s largest motorcycle manufacturer until NSU overtook them in 1955. Ducati announced their little Cucciolo in 1945, a 48 cc 4-stroke ”auxiliary engine” for mounting on a bicycle frame, and they sold 200,000 machines in 7 years. 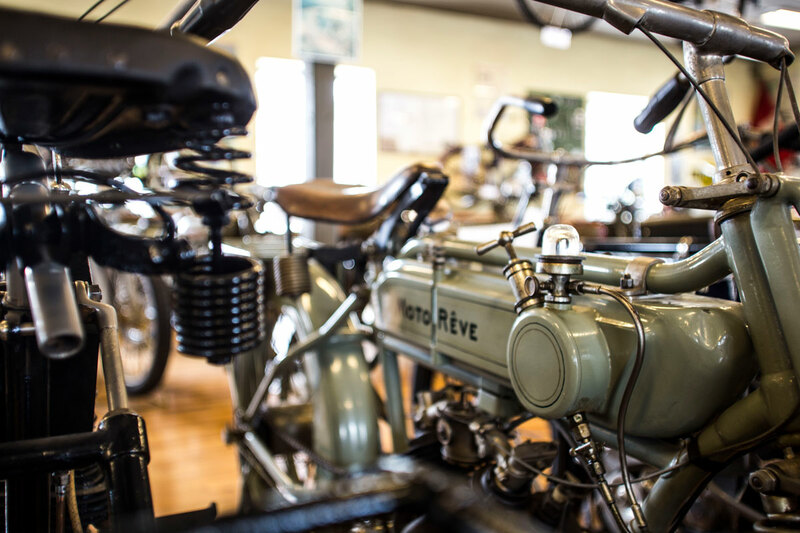 Honda started motorcycle production in 1946, fitting military surplus engines into available frames, and in 1949 they produced their own Honda Dream, a 98 cc 2-stroke machine with 2 gears and a pressed steel frame. Lambretta produced their first scooter in 1947, the Model A with a 123 cc 2-stroke engine. The Model B arrived in 1948 and had a fairing, as did the later scooters produced by Heinkel, Peugeot, Vespa and Zündapp. On the race-track, Norton achieved success with their single-cylindered Norton Manx. Especially after it got its famous ”Featherbed” frame it competed successfully against many other machines, also ones with several cylinders. Velocette also returned successfully to the race-track, as did AJS with their 7R model, Gilera, NSU, Mv Agusta, BMW, Mondial and Matchless with their G50. 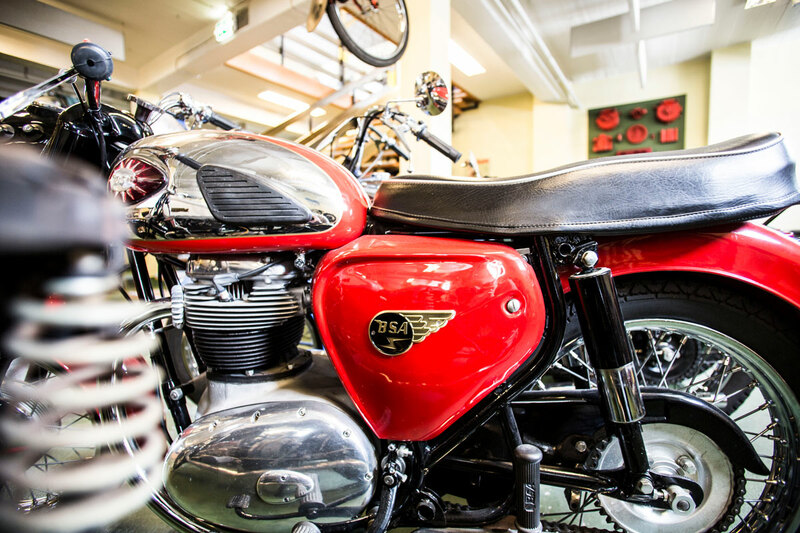 In 1953 the cinema film ”The Wild One”, starring Marlon Brando and Lee Marvin, featured a Triumph Thunderbird and other motorcycles, and gave many young men dreams of donning a leather jacket and living the free life on a motorbike. Honda entered the 1959 Isle of Man TT race with a twin-cylindered 124 cc machine with overhead camshafts, and won the 125 cc class that year. 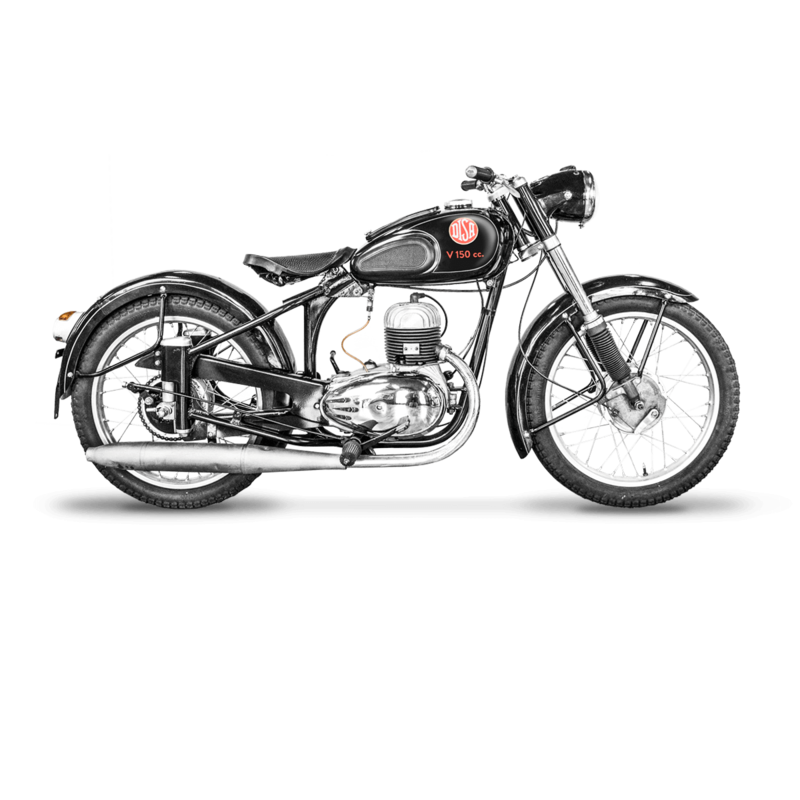 In 1956 they had entered their C77, an NSU-inspired model, and in 1961 they announced their CB92 Benly Super Sport, a 125 cc twin that could run at over 10,000 rpm. Yamaha also took the RT125 as inspiration for their YA-1, which appeared in 1955. Suzuki introduced their 36 cc POWER Free in 1952, with a 98 cc version appearing the following year. Kawasaki announced their B7 in 1961. 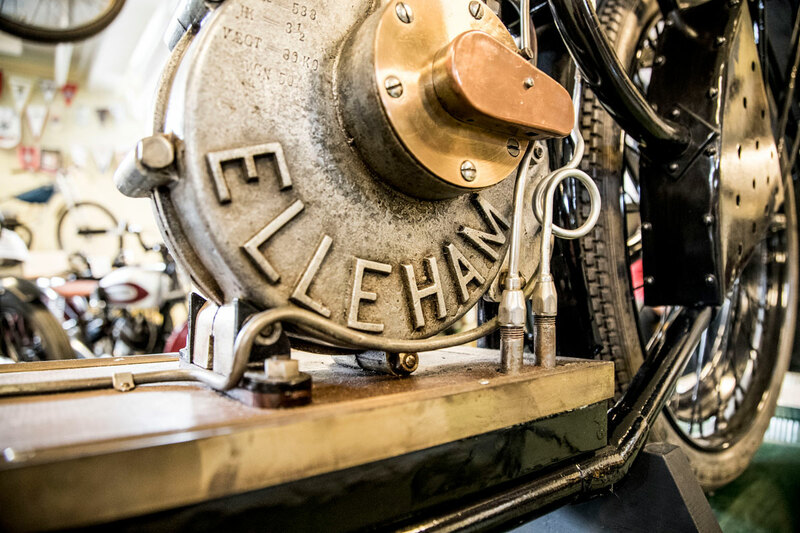 This marked the beginning of the Japanese ”invasion”, and started a new era in motorcycle history. Zündapp Bella 54 R150 1954 1 cyl.